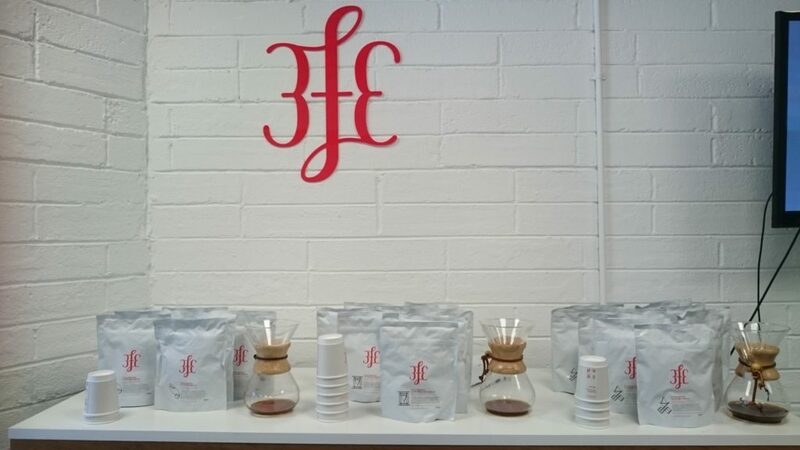 This week I visited 3fe in Sussex Terrace, Dublin 4, to taste their delicious Los Mangos coffees from El Salvador. The cupping session started with a very informative talk by 3fe Roaster Monika Palova who took us on a trip to El Salvador’s coffee scene. 20,000 coffee producers, active volcanos, and amazing coffee profiles – what a combo! 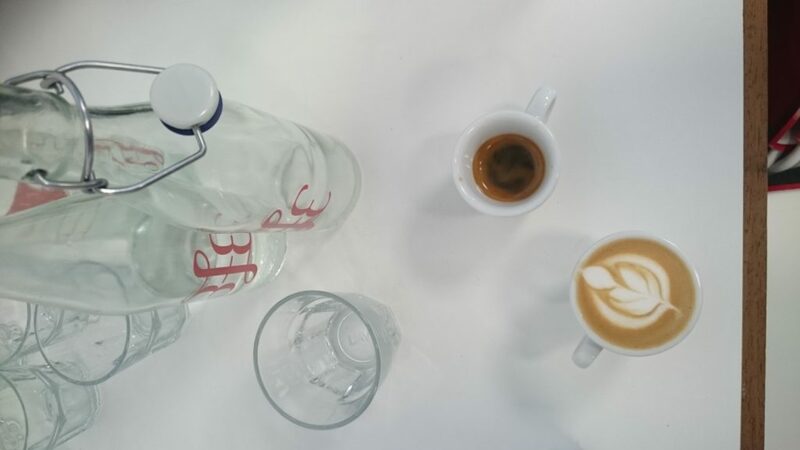 Today’s coffee cupping included three types of coffee processing: washed, natural and pulped natural. 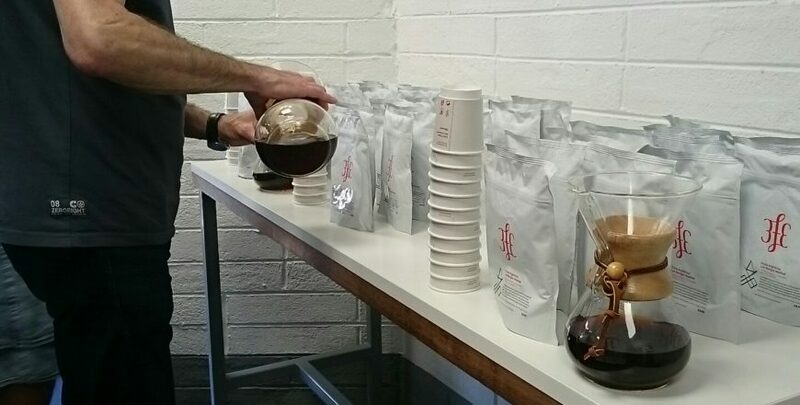 Additionally, we had a chance to taste each coffee brewed in different ways: with Chemex, espresso (zing!) and milk-based coffee drinks. That was a real treat. My favourite is the naturally processed Los Mangos with the distinctive strawberry aroma and flavour. Beautiful as filter as well as in a milk-based coffee drink. 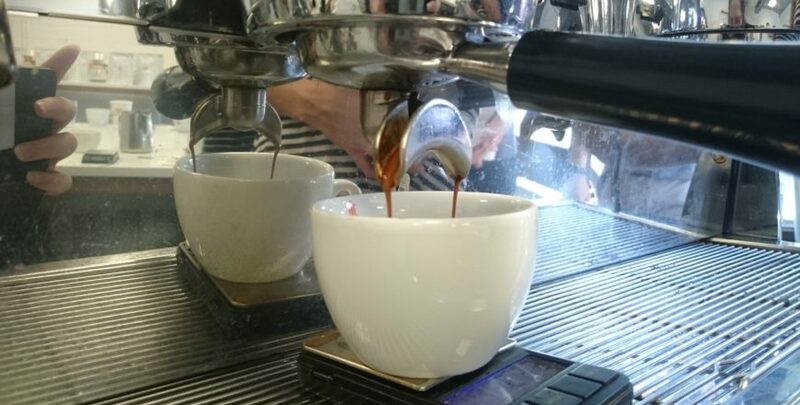 The best way to unravel the secrets of coffee is to join coffee tasting sessions. That’s the best way not only to discover new coffee profiles, learn more farms but also to meet micro-roasters themselves. If you missed today’s event, don’t worry. The 3fe gang is about to start the #LosMangosWorldTour, running a series of coffee cuppings around Ireland. Follow them on Instagram, Facebook and Twitter for details.